Certain years in the life of a nation can be so pivotal that they represent a rebirth. Think of 1865, when the Civil War was settled for the United States; 1989, when the Berlin Wall fell in Germany; or 1990, when Mandela was released from prison in South Africa. For Ethiopia, 2018 was perhaps, one of the most consequential years in generations, provided the bold political steps of its new leadership are followed quickly by economic reforms. Since his inauguration Ethiopia’s young, charismatic Prime Minister Dr. Abiy Ahmed has blazed an extraordinary path. He has released political prisoners and restored full diplomatic relations with Eritrea. While internal conflict still occasionally flares, causing many deaths and the displacement of over a million people, Ahmed — a former soldier and intelligence officer — seems to be winning over skeptics with his message of peace and inclusion. Women, usually marginalised in Ethiopian politics, now hold key government positions. Rather than sitting atop low-budget, low-influence posts, they command the Presidency of the Supreme Court and departments of defense and transportation. Most notably, Ahmed nominated Sahle-Work Zewde, a career diplomat and former UN official, to be the first female president of Ethiopia. She was confirmed expeditiously. Even daily life has changed. People speak freely and critically of politics and their government rather than censor themselves. After decades of authoritarian oppression, it is exhilarating. The nation’s economic challenges, however, may prove more daunting than its diplomatic and democratic ones. Ahmed inherited an economy that has been one of the fastest growing non-oil economies in the world. But that is a misleading fact if taken out of context. Ethiopia has a population of more than 100m, the median age of which is 17.9 years old. About one third of Ethiopia’s economy is in the informal economy, where people are unemployed, underemployed or eke out a subsistence living. Tensions among the nation’s 80-plus ethnicities are pervasive and combustible, and they factor into every major investment decision, public or private. The pace of job creation in regions that were rocked by violence for the past three years is far from sufficient. Thus, creating jobs in the formal economy should keep Ahmed and his dynamic new economic team of 40-somethings up at night. Several possible reforms are obvious and low-hanging. Some of Ethiopia’s laws and policies are left over from the communist era when large private sector companies were shunned in favor of state enterprises, most of which tended to be inefficient. According to the US Census Bureau, Ethiopians rank as one of the “hardest working” immigrant groups in the United States – they rank near the top in the employment-to-population ratios. In 2016, remittances from the Ethiopian diaspora were more than $4bn, more than four times the level of official development assistance that Ethiopia receives from the US. Partial privatisation of the state-run energy, logistics and telecom firms, possibly even the state-run airline is now in play. Full privatization of state-run hotels, sugar refineries and cement productions is under consideration. Such steps would open the door to more foreign direct investment and expertise, but Ahmed would do well not to rush things. These types of privatizations have been done before from Eastern Europe to Latin America, and their track record is complicated but instructive. Economic transformation will require a multi-pronged approach, from supporting startups and entrepreneurs to improving schools to revising the tax code, which most Ethiopians rightly regard as anti-business to the point of being punitive. Government red-tape is so pervasive that it has spawned a bustling shadow market of fixers. Ethiopian firms can compete regionally and globally, but all too rarely under these circumstances. Economic potential awaits abroad, too. Over one million people make up the Ethiopian diaspora. It is a vital network with a strong desire to support the reforms Ahmed now offers. The Ethiopian old guard eschewed the diasporans, wary of their outspokenness on human rights. Their resources were tapped selectively and sporadically. However, the early signals from Ahmed are encouraging. Earlier this year, he toured major US cities for outreach and set up two advisory boards, one to help with privatisations in Ethiopia and another to help launch a diaspora trust fund for development projects. This is a singular opportunity. Ethiopia has momentum toward more peace and more democracy. It has a diplomatic vision. It has a pragmatic path of economic reform ahead. Most important, it may finally have a new, energetic generation of leaders capable of transforming the nation for decades to come. The prospects are promising. 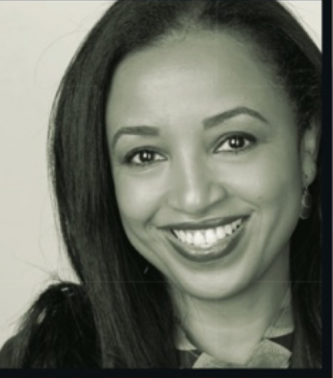 *Mimi Alemayehou is MD of Black Rhino Group. Previously she was Exec VP of the Overseas Private Investment Corporation in President Obama’s Administration, and also US Exec, Director at the AfDB.